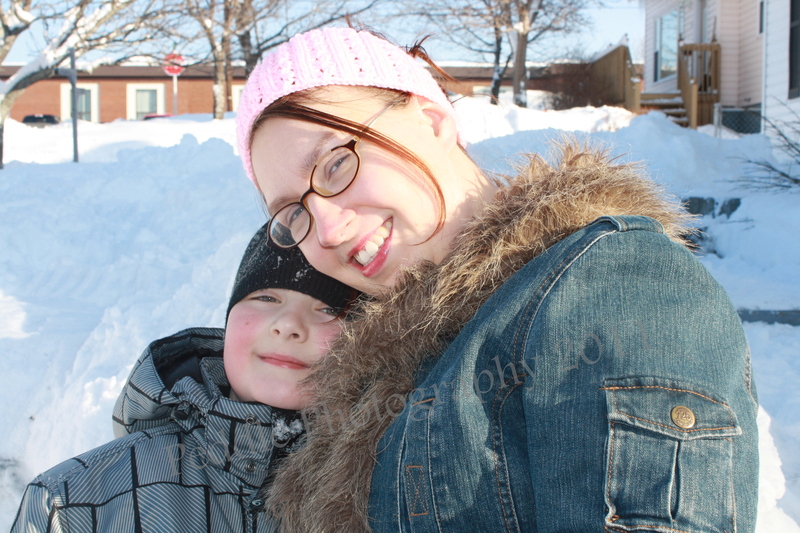 2010 was a year of changes and excitement in our household. I didn’t blog about all of them, but I think I touched on most. So for the ones I missed and a refresher on the ones I didn’t, here’s 2010 for the Army. 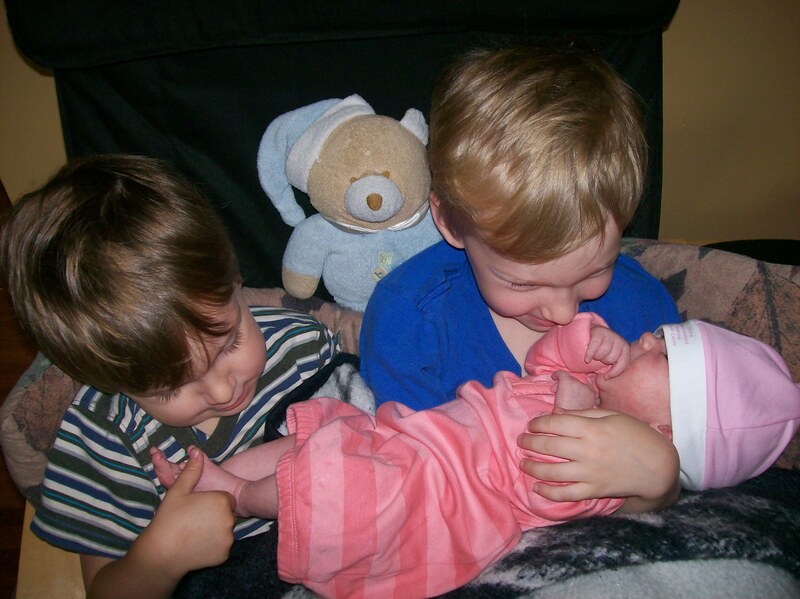 On March 23rd we got our first glimpse of the little bean who we would soon know as Lola. I was so excited and was almost positive that I saw little girly parts, but couldn’t be sure. We had to wait for our 3D ultrasound in April to confirm what I thought I’d seen. We had a wonderful experience at UC Baby and if we ever have another baby we will definitely be going back. 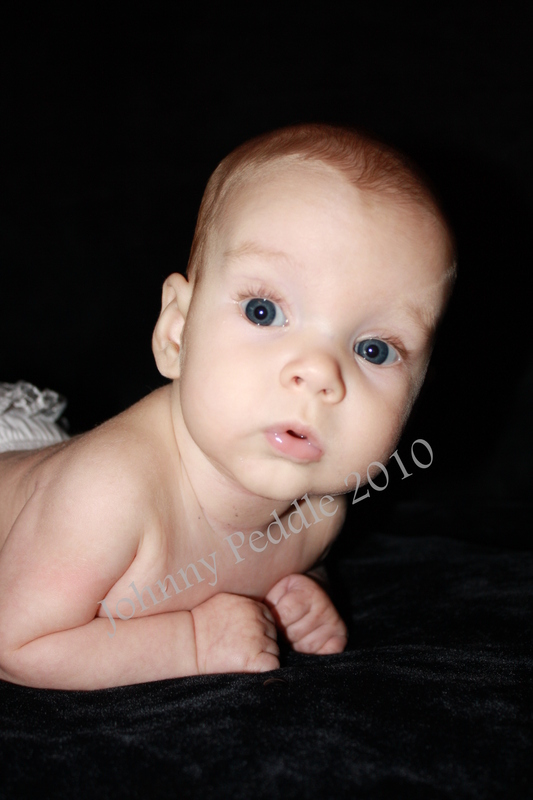 The day before that ultrasound on April 15, Silas had surgery to repair his unbilical hernia. The surgery went perfectly and Silas hasn’t had a bit of trouble since. 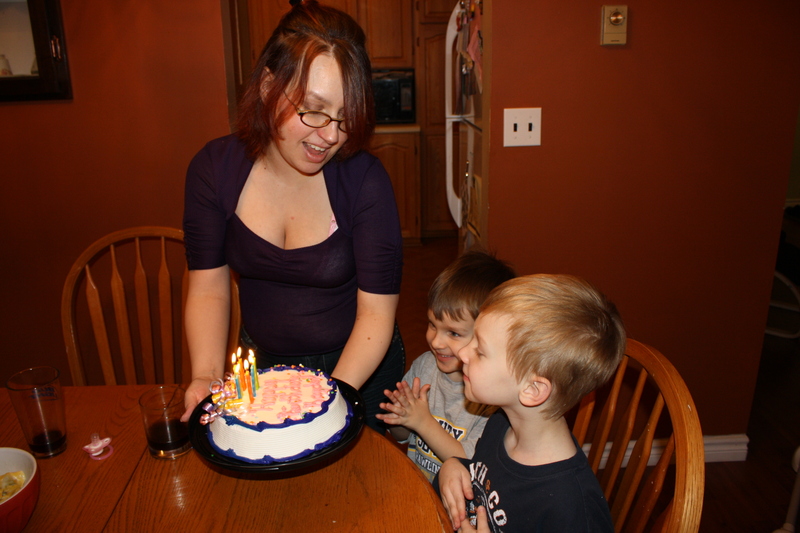 In May, Linda and Beckie came home for a visit and they threw me a baby shower. We had lots of fun and Beckie and Linda spoiled the little princess that we were expecting with loads of pink things and pretty shoes. I had a great time with them, and was so sad when the time came for them to go back. It was a really great visit. 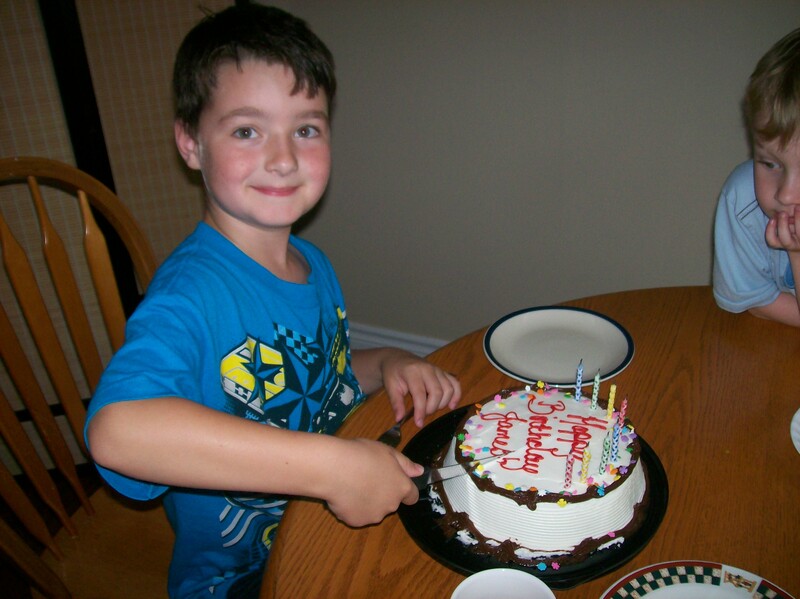 On July 12, James turned eight. In June we had discovered that our princess had decided not to turn head down or face the back and so we scheduled a July 16th c-section. However Lola Sophia didn’t like this date and decided to bust out on July 14th instead…which happened to be her godfather (my nephew) Adam’s 22nd birthday! He was thrilled at this particular development! 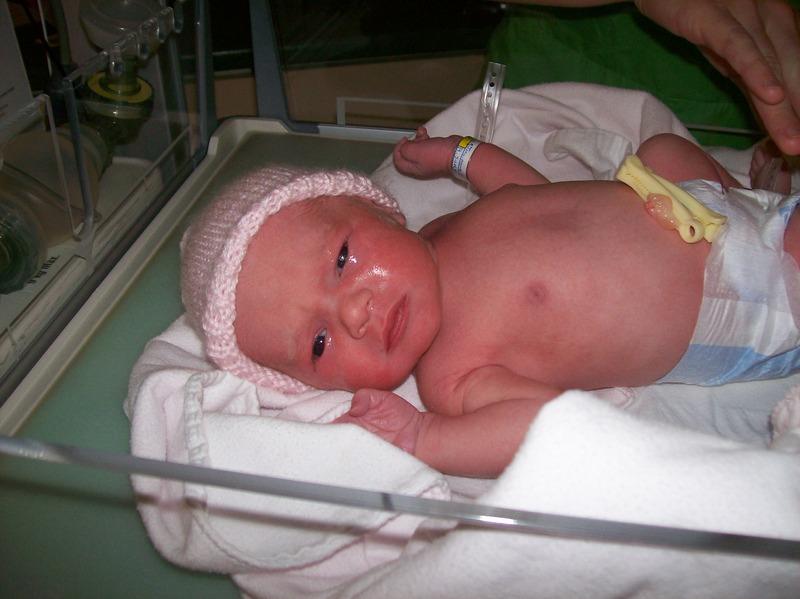 It was a dramatic entrance befitting our little diva as she was delivered via emergency c-section at 4:07am. 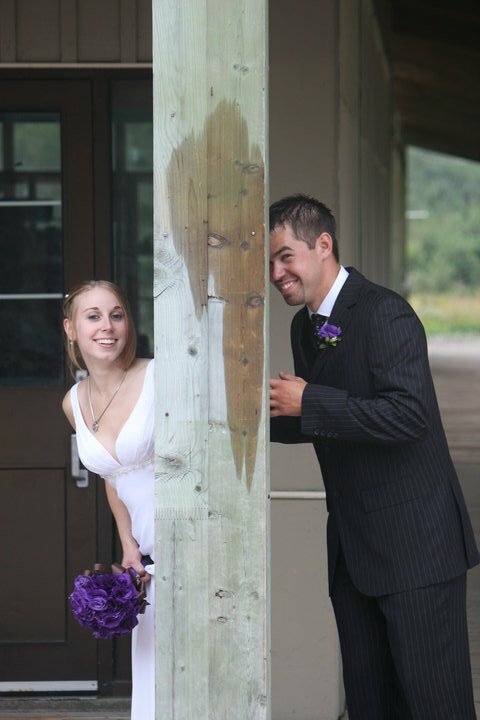 In September, Beckie was married at Marble Mountain and I was a bridesmaid. 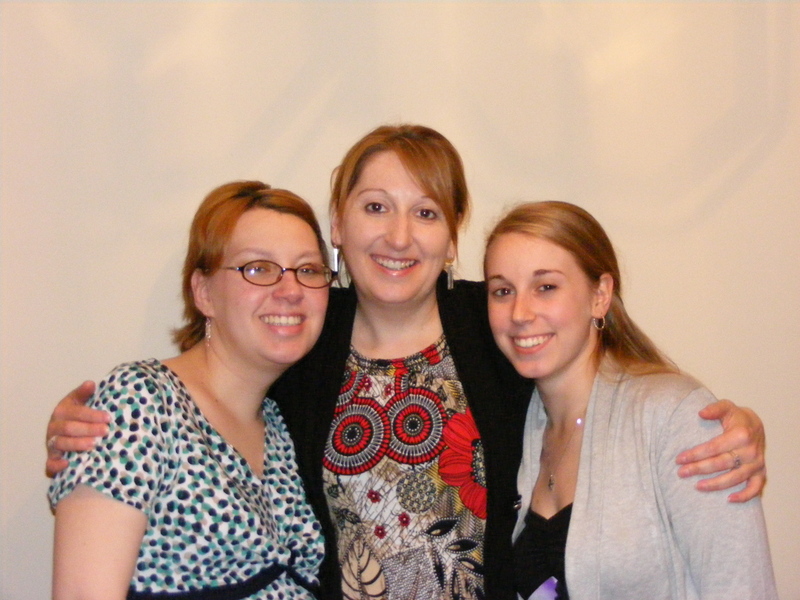 This meant that I got to have Beckie and Linda around for another week, and we had tons of fun. It was a beautiful wedding and Beckie and Jason looked so happy! 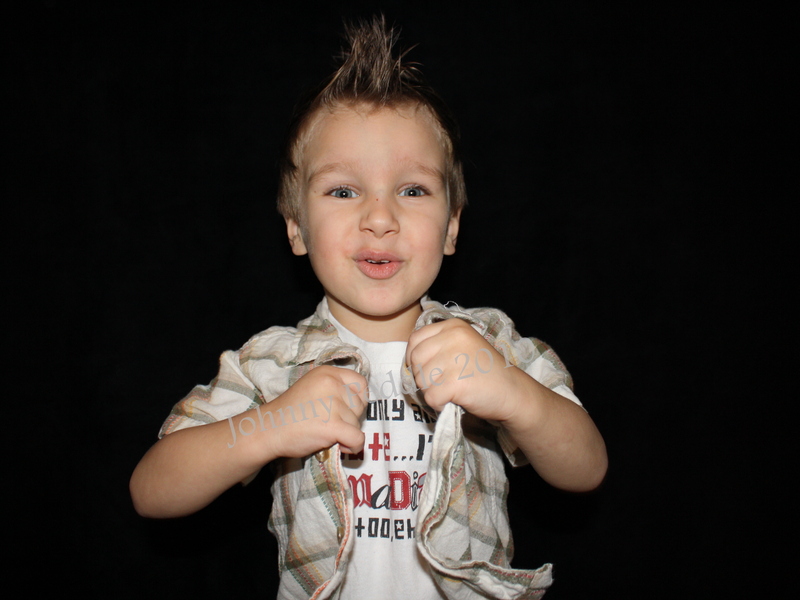 On November 23, Hayden turned six years old. 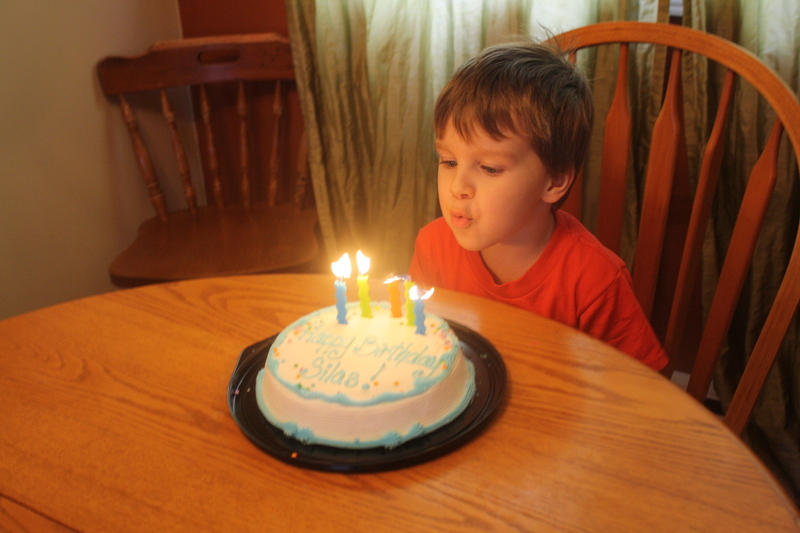 On December 5th, Silas turned four. And on Lola’s very first Christmas, we had a wonderful celebration at home. My parents joined us for Christmas Eve and Christmas day. The old year left us quietly and the new year slipped in as it left, without a sound. I was the only person awake here when it did. 2010 brought so many happy moments. I cannot help but wonder what 2011 brings. With love from the Army. 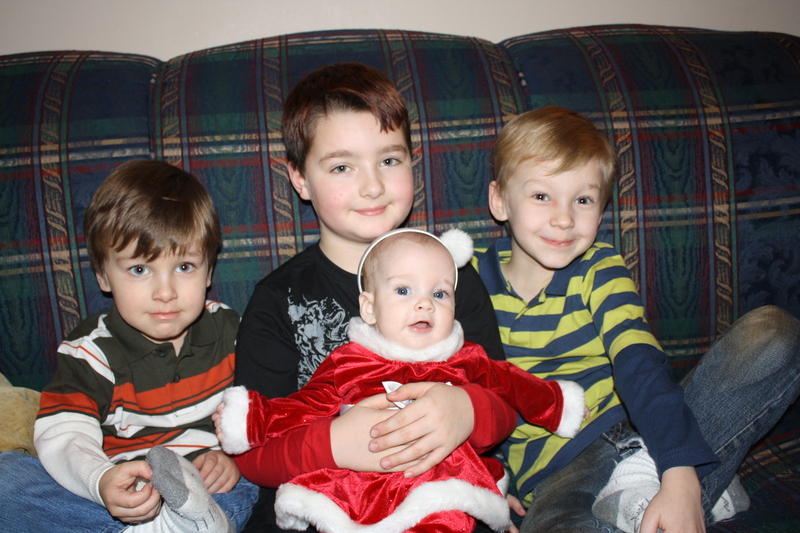 Peace and joy to you in 2011. As Tracy so astutely pointed out, it’s Tuesday. Now you get a glimpse into how hassled my mind really is. I can’t keep my days straight. 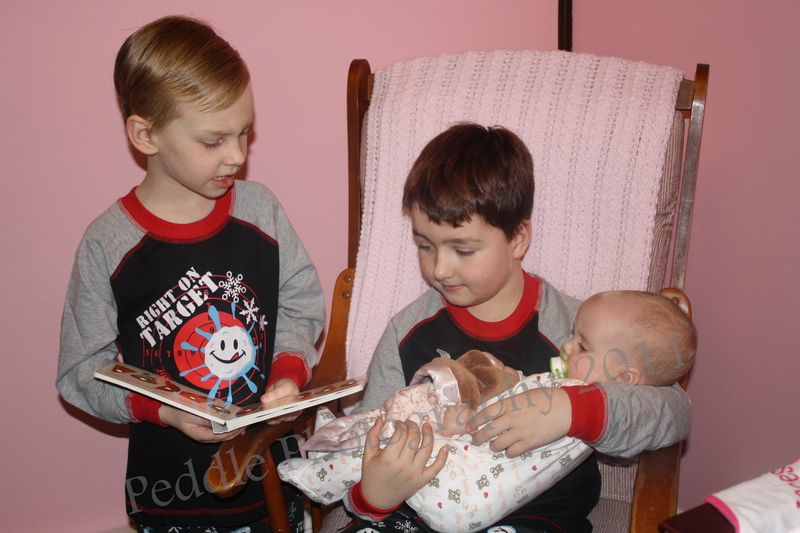 Okay, so it’s Wordless Wednesday EVE. Today I’m supposed to share a photo of something that makes me happy. So here you go. I promised Halloween pictures and I do aim to please. Halloween here was rainy and cold, so Lola didn’t get to go trick or treating with her brothers. That didn’t stop us from getting some great pictures though! 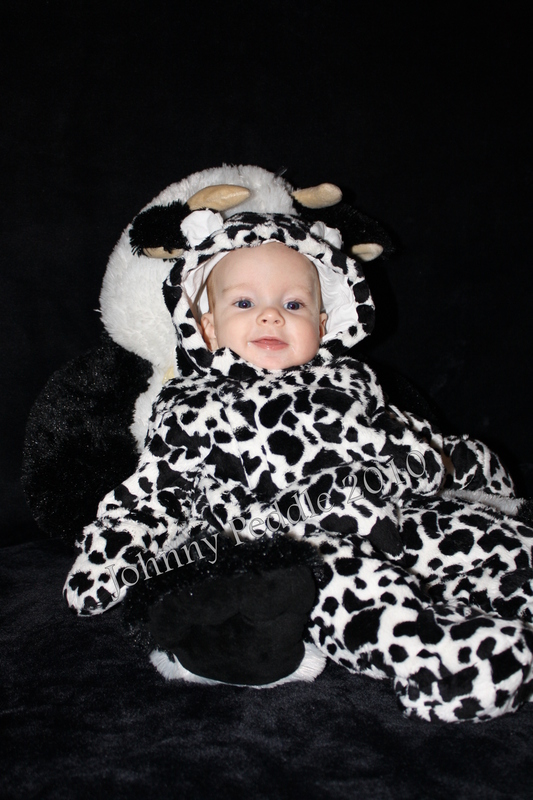 Lola was a baby cow for Halloween, something that certainly thrilled Auntie Beckie, who loves cows as much as Mommy and Auntie Da love pigs. We had a hard time getting a costume for her for several reasons. First of all, Halloween in Newfoundland is cold. It usually snows here on Halloween night. 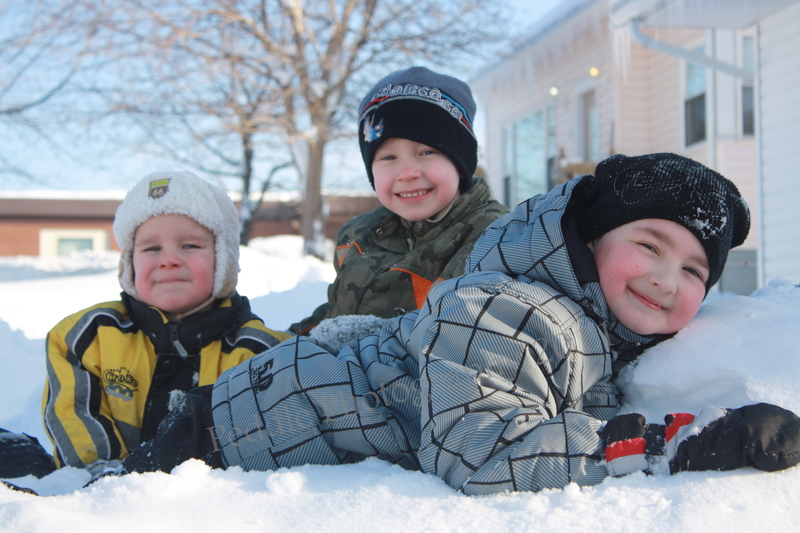 All the little princess dresses and tutus were severely lacking in warmth. 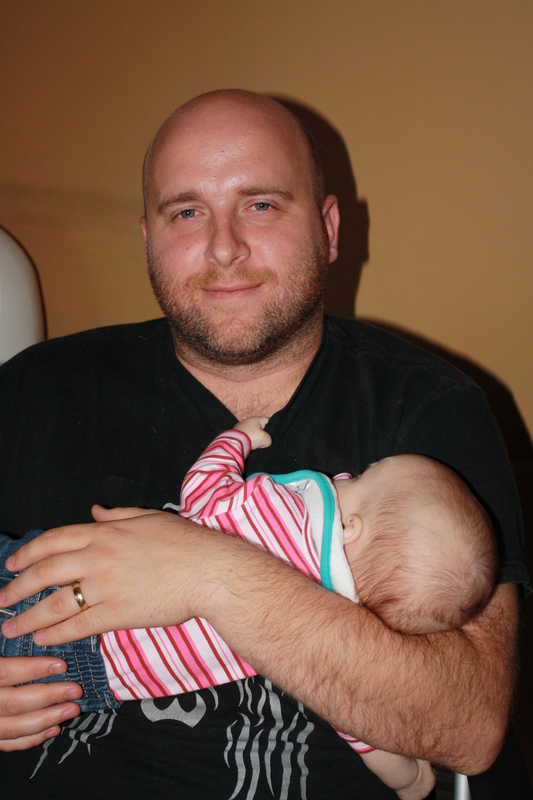 The other reason we had issues was because Lola is still so darned tiny! Everything we found was way too big for her. The cow costume isn’t actually a costume so it serves a dual purpose. 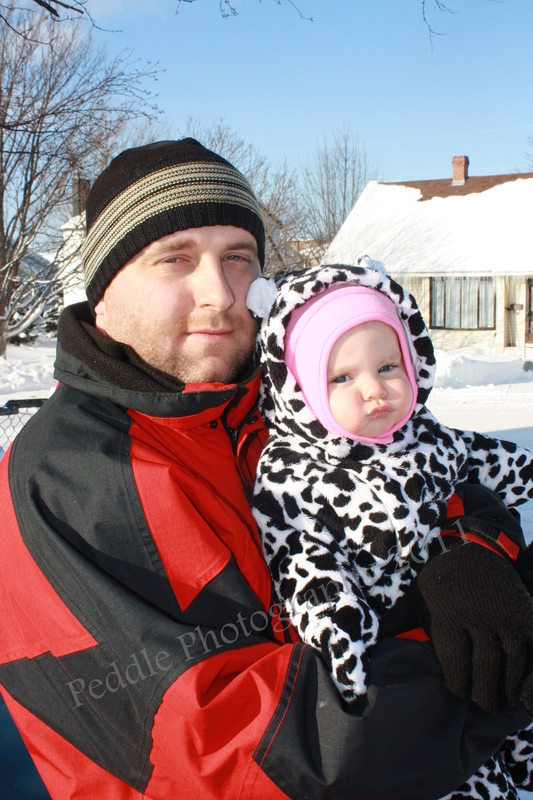 It’s a snowsuit, so it will do for the winter, but it had cow spots and cute little ears so it could be her costume. As it turns out the snowsuit part of it was a moot point since she didn’t wear it outside for Halloween, but it will still serve the purpose for the winter. 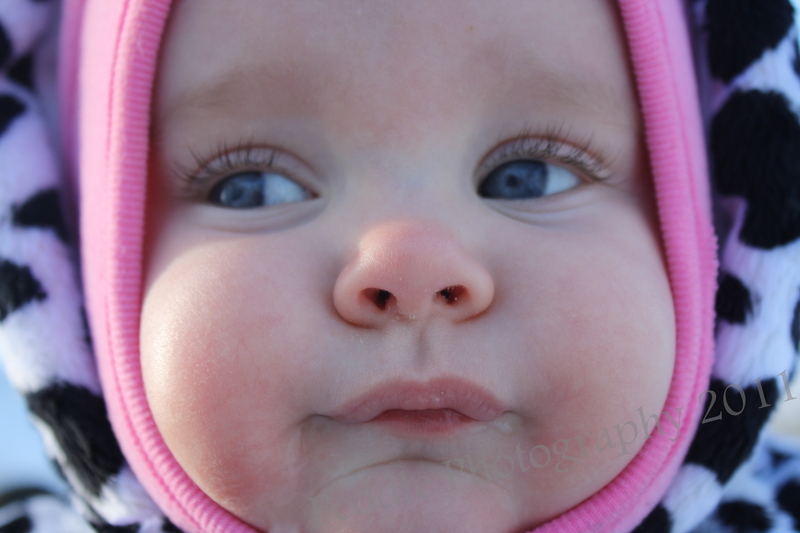 The snowsuit is newborn size and it’s still too big for our little 3.5 month old angel. Go figure. 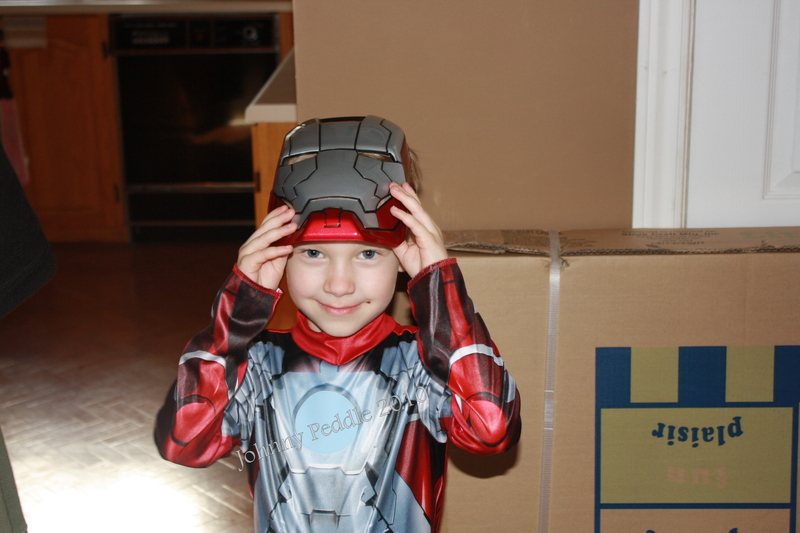 Hayden chose to be Ironman. 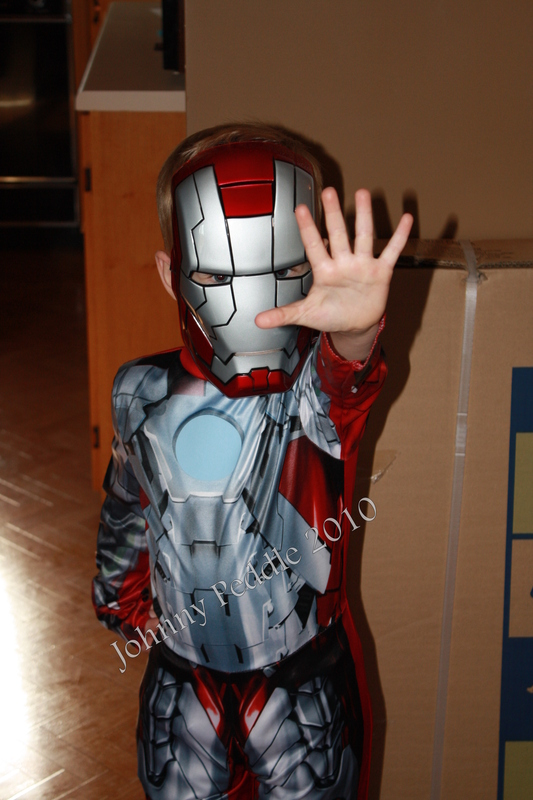 He loves the Ironman movie and when he said that he wanted to be Ironman, it was an easy one for us. The costume was readily available thanks to the recent release of the second movie, and it was adorable on him! As you can see, Hayden really got into character. He was thrilled to get to wear his costume twice; once for his school party on the 29th and once on Halloween night. 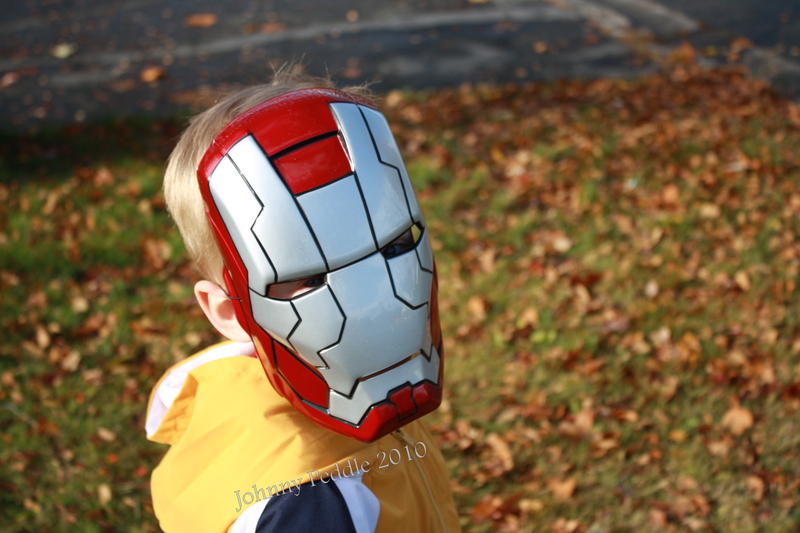 When Hayden decided to be Ironman, Silas got his heart set on being War Machine. His reasoning? 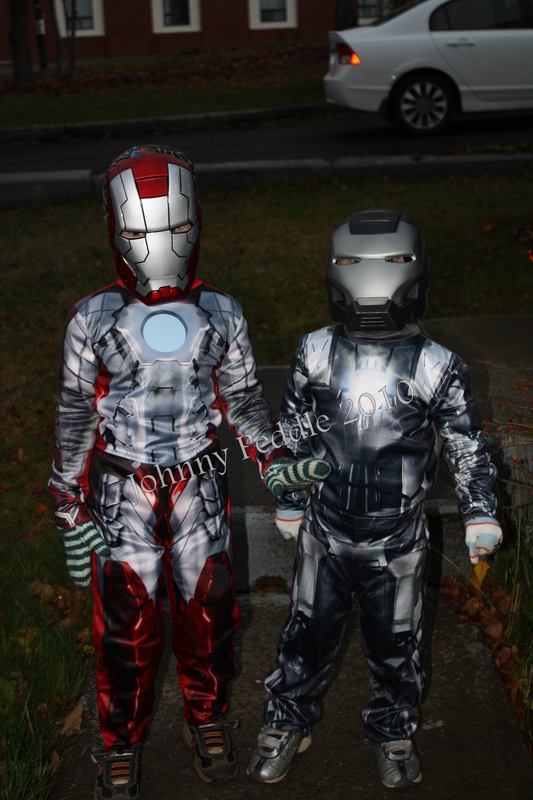 War Machine is Ironman’s best friend and since he and Hayden are best friends, logically he needed to be War Machine. Isn’t that precious? They break my heart sometimes with how sweet they are. And as for my project, today’s assignment didn’t warrant a post of it’s own so I decided to do it as an afterthought on this post. I’m supposed to share someone who I could see myself marrying or being with in the future. Well that would be this man right here.